What is Online Bank Transfer? Online Bank Transfer is an Internet payment method that allows you to make online purchases in a familiar, secure and simple way. Online Bank Transfer links you directly to your online banking application when you buy online. To start using Online Bank Transfer, you don’t need to register, download any files or open an account. If you already have online banking with one of the supported Banks ( Op-Pohjola, Nordea, Danske Bank, Säästöpankki, S-Pankki, POP Pankki, Aktia, OmaSP, Handelsbanken, Ålandsbanken ) you can make payments using Online Bank Transfer right away. Go to the Winnings.com Cashier. Click on the Online Bank Transfer button. Enter the amount you want to deposit. Click on the 'Deposit' pay button. You will be re-directed to your bank website. Enter all missing personal details and payment card details. Log in to your online bank account using your user ID and password and approve the payment. You will receive an instant confirmation and you will be redirected back to the cashier. How Much Can I Deposit with Online Bank Transfer into my Winnings.com Account? Your Online Bank Transfer charges will appear as: your Bank Receipt number. Copyright 2018- All Rights Reserved. 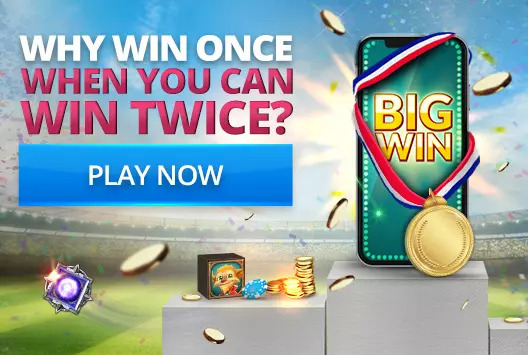 Winnings.com is a brand owned by Winnings Limited, a company incorporated under the laws of Alderney. The games on this website are powered and operated by Aspire Global International LTD., a Malta based company with registration number C42296 and having registered office at 135, High street, Sliema SLM 1549, Malta, which is a fully licensed operator under the Remote Gaming Regulations of Malta MGA/B2C/148/2007 issued on the 17 August 2009 (this license incorporates the previous licenses held by the Company and list the old license numbers with their license dates) and regulated by the Malta Gaming Authority. In Great Britain only, the games on this website are operated by AG Communications Limited, a Malta based company with registration number C48328 and having registered office at 135, High street, Sliema SLM 1549, Malta, which is licensed and regulated by the United Kingdom Gambling Commission (Remote Gaming License Number 000-039483-R-319409-001). The games offered by isoftbet are approved and licensed by Alderney Gambling Control Commission, license number: 117C2. The current status of operators license can be found at: Gambling Commission.